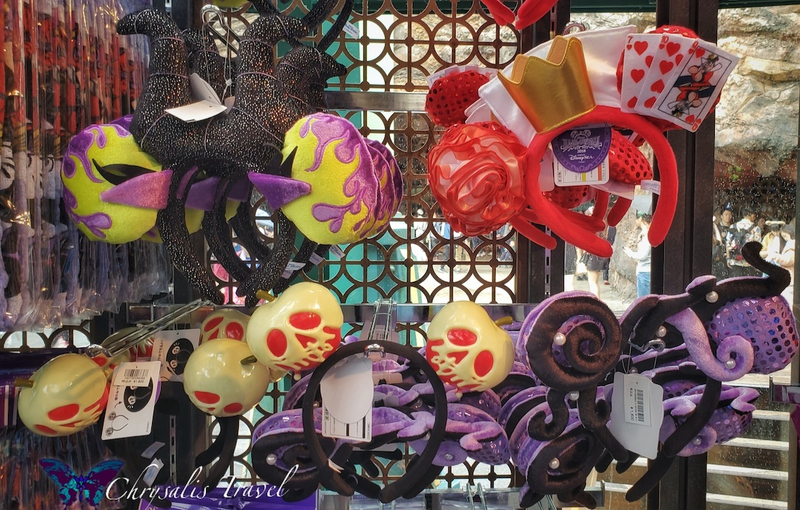 After an amazing day at a Disney Park, you want to take those memories home with you. Unique Halloween merchandise makes the perfect souvenir. 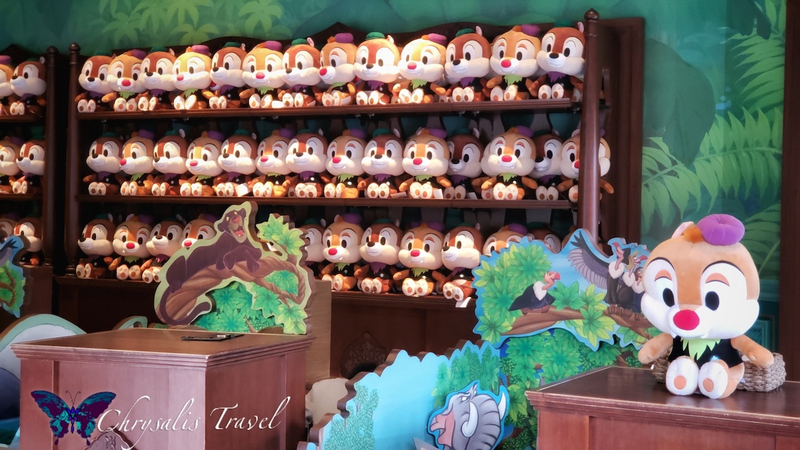 The Tokyo Disney Resort (TDR) makes this particularly challenging because there are so many options available every season. It’s difficult to choose. When we visited TDR in April this year, we really enjoyed the special 35th Anniversary food and merchandise. Upon returning in October, we were looking forward to seeing some of the same items. After all, we’re only six months into 35th Anniversary. Apparently, even the year-long 35th Anniversary food and merch items are limited to shorter seasons. 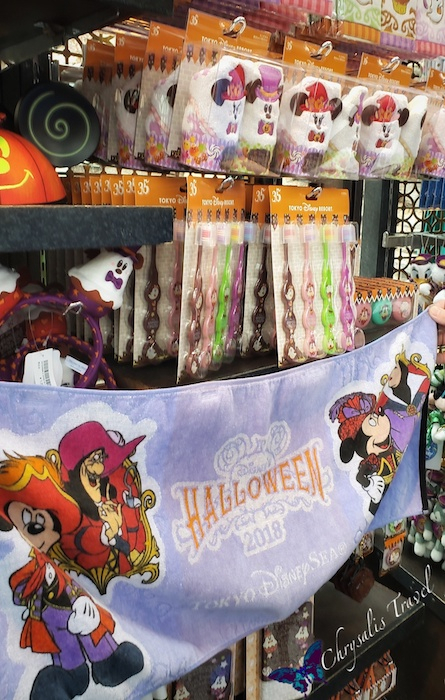 Some items are still available, but Halloween merchandise dominated the offerings. 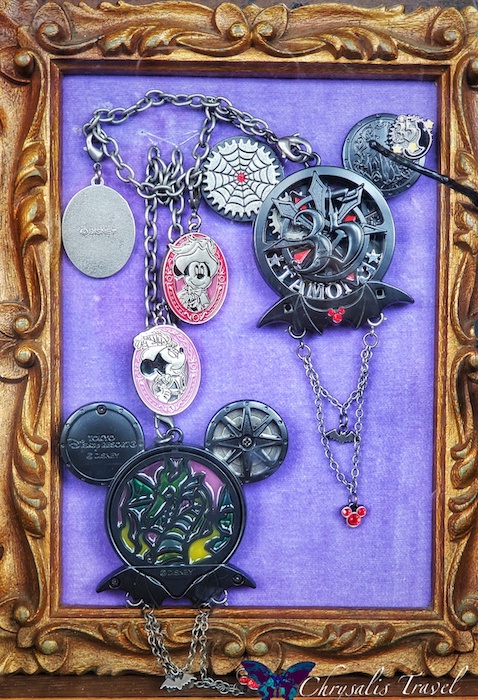 They even created a black Halloween version of the 35th Anniversary customizable pendant. 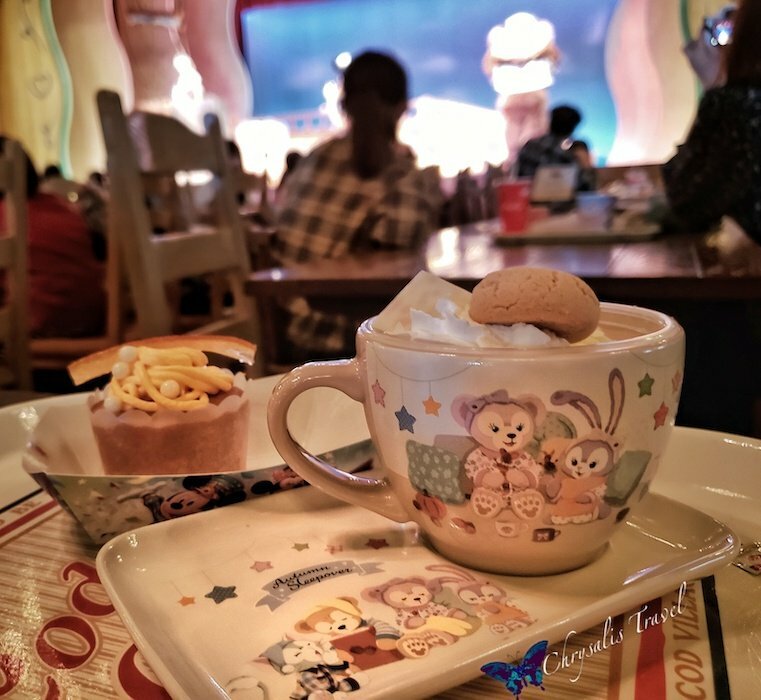 One thing Tokyo Disney Resort has mastered: seasonal foods that come with collectible cups, saucers, and fashionable lunch totes. 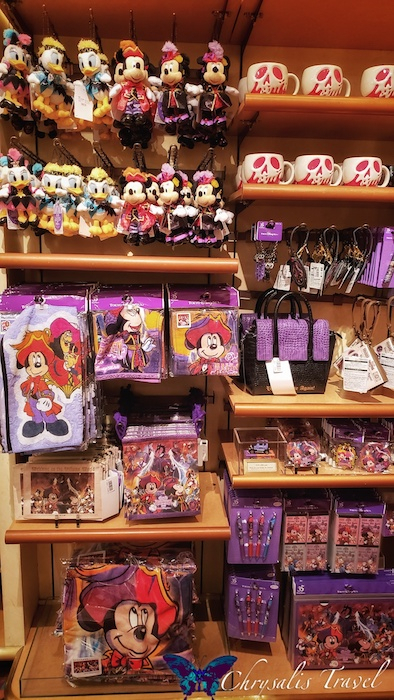 All items are exclusive to Tokyo Disney Parks, and limited for each season. You can literally shop while you eat. 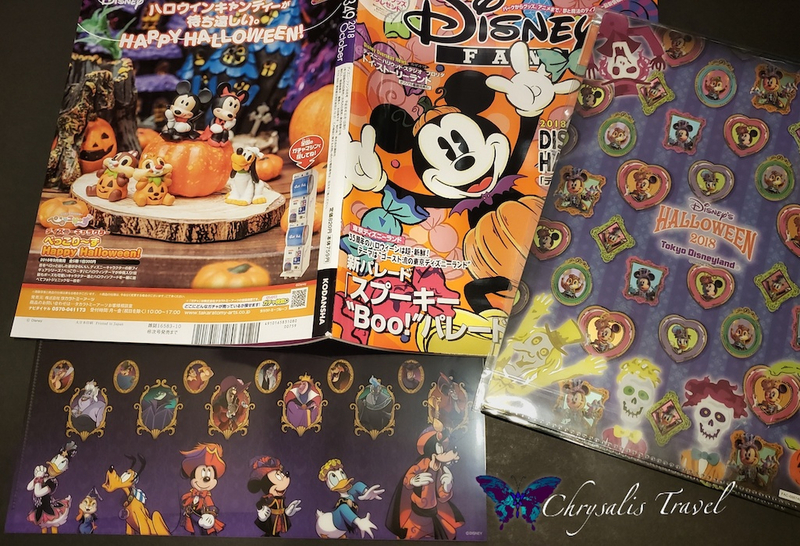 The “Today” guide for Tokyo Disneyland and Tokyo DisneySea (available only in Japanese, with maps at the turnstiles) showcases the newest seasonal food and merch offerings. 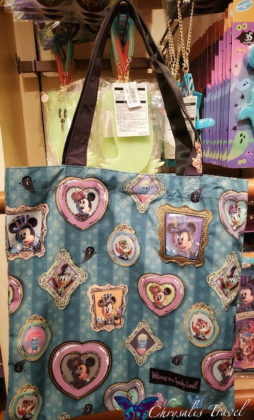 This should be your first reference for what’s new at the TDR. 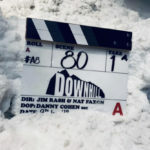 The “Today” guides are organized in color-coded blocks according to themes. 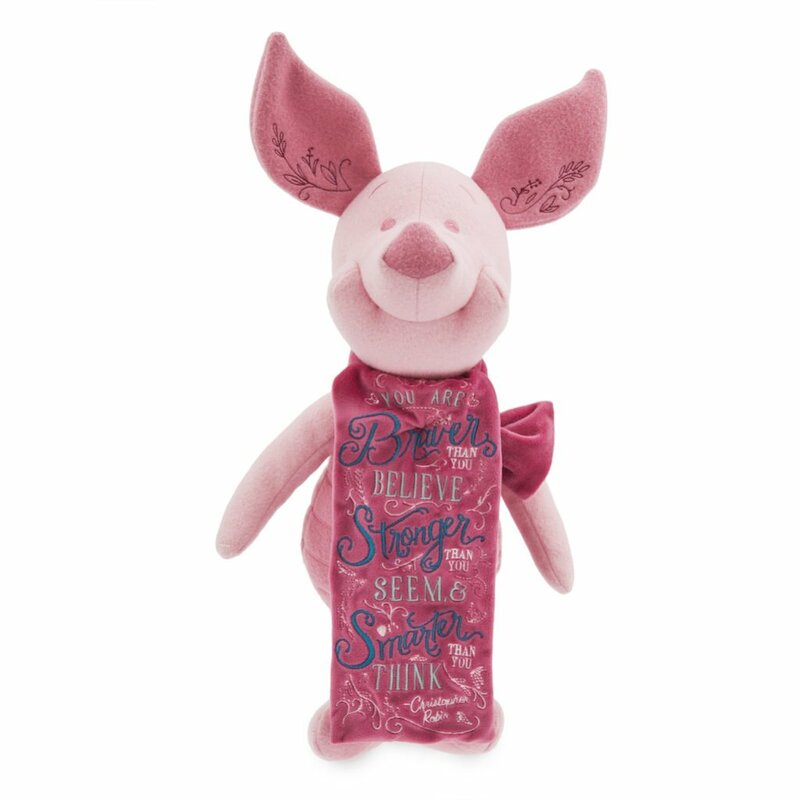 They highlight seasonal merchandise, souvenirs with food, and special menu items. The colored numbers next to the photos indicate where you can find each item. (Cross-reference this with an English Park map). 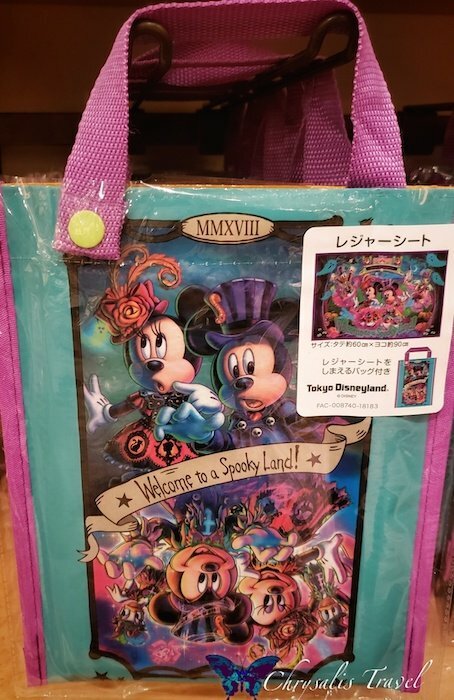 Tokyo Disneyland’s theme for Halloween 2018 is “Welcome to a Spooky Land.” It actually has two images, as you can see on this ‘plastic’ used for sitting on the ground during parades. 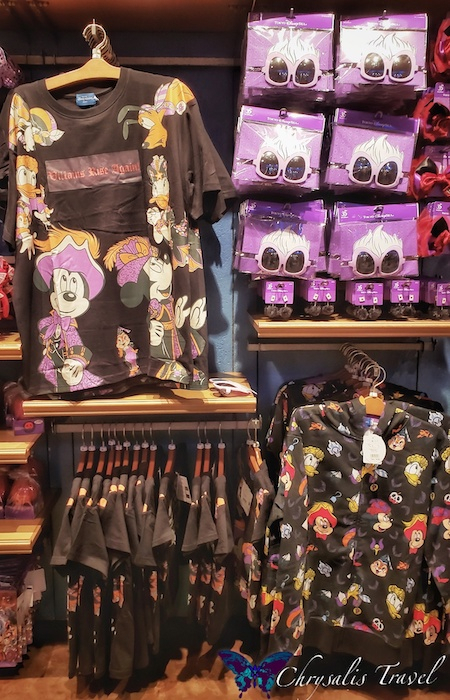 One side shows fashionable Mickey and Minnie looking a bit timid in a menacing forest. The other side shows a more tattered alter-ego Mickey and Minnie in a colorful fantastical world. This imagery correlates with the new Spooky “Boo!” parade. 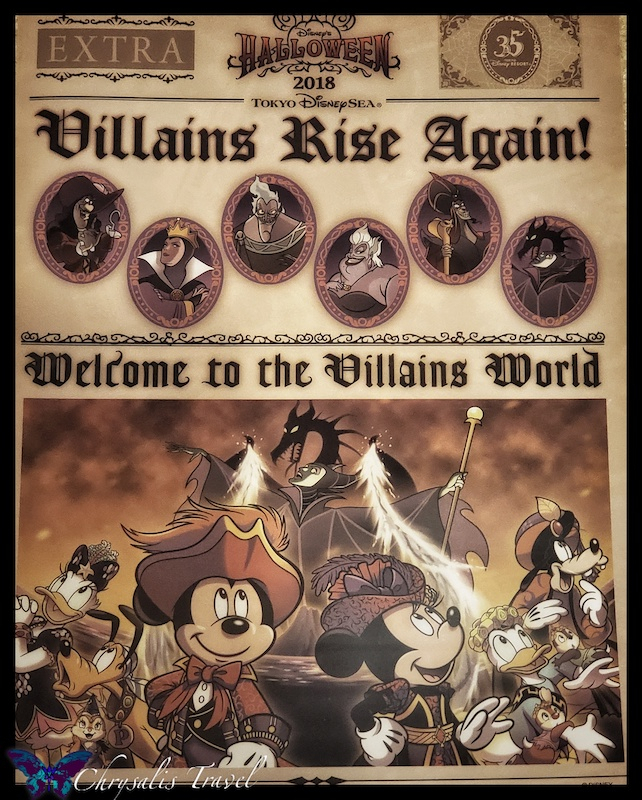 Tokyo DisneySea saw the “Villains Rise Again!” with a newsprint simulation of this headline. 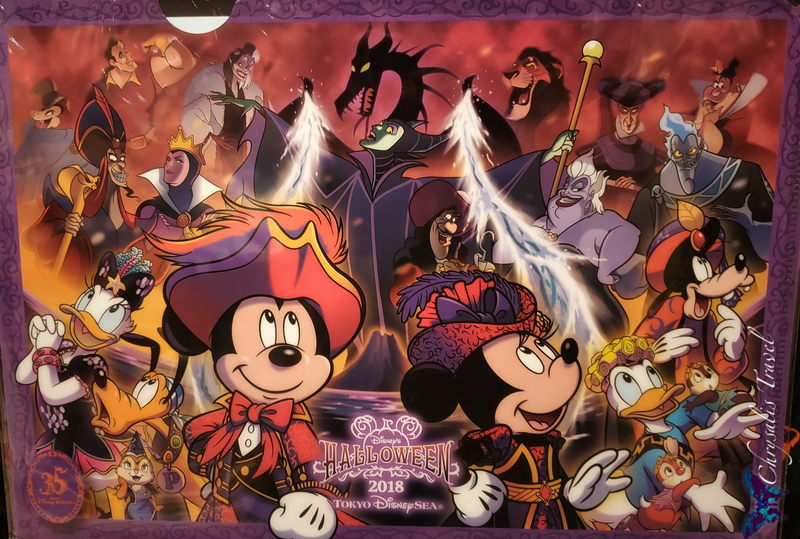 The accompanying image featured characters from “The Villains World” and Fantasmic. (Cover photo). These were both plastic sheet-protectors that are great for organizing your papers at home. 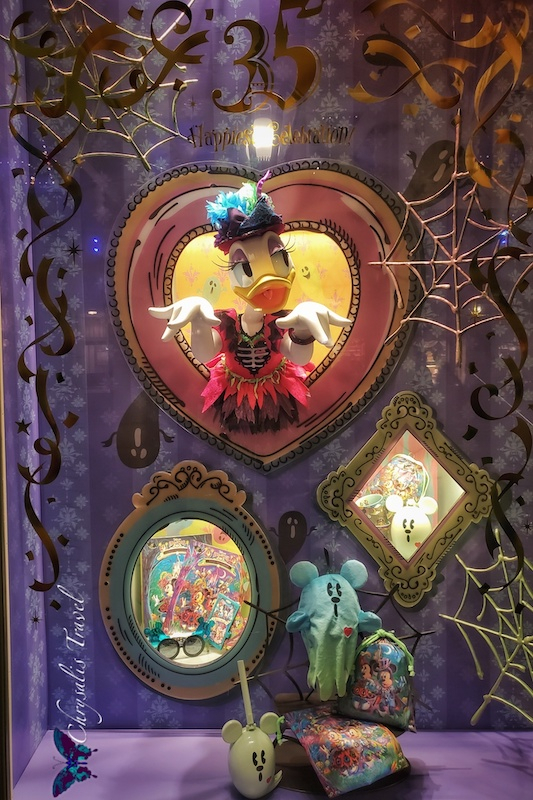 Donald and Daisy are doing their Spooky “Boo!” Parade zombie poses. 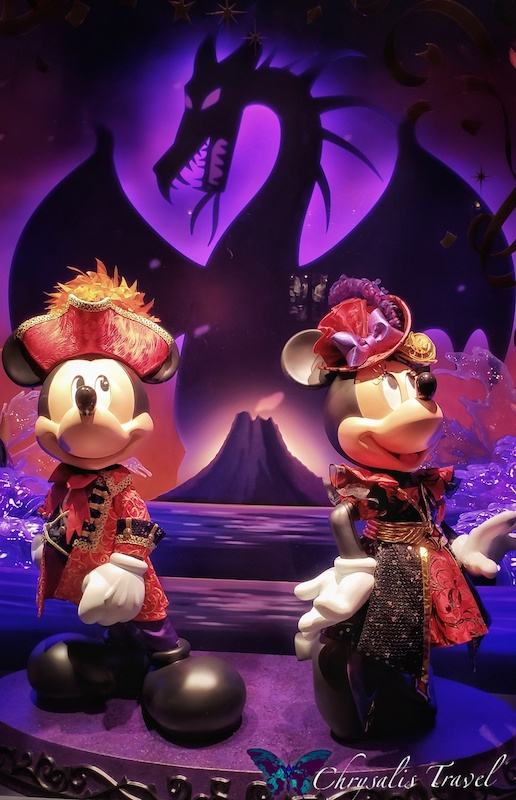 “The Villains World” and Fantasmic themes prevailed at Tokyo DisneySea. 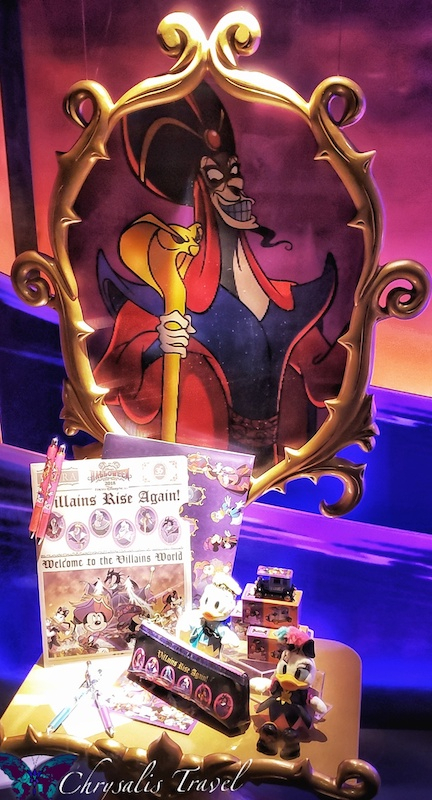 There were windows with multiple Villains like Jafar here. 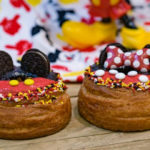 Mickey Ears are ever popular. The poison apple ears glow in the dark. 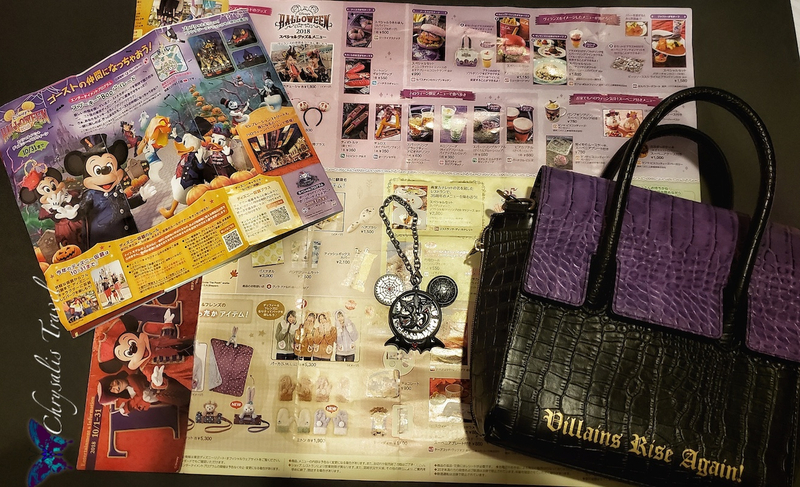 We found Villains t-shirts, towels, mugs, and pens in the stores. 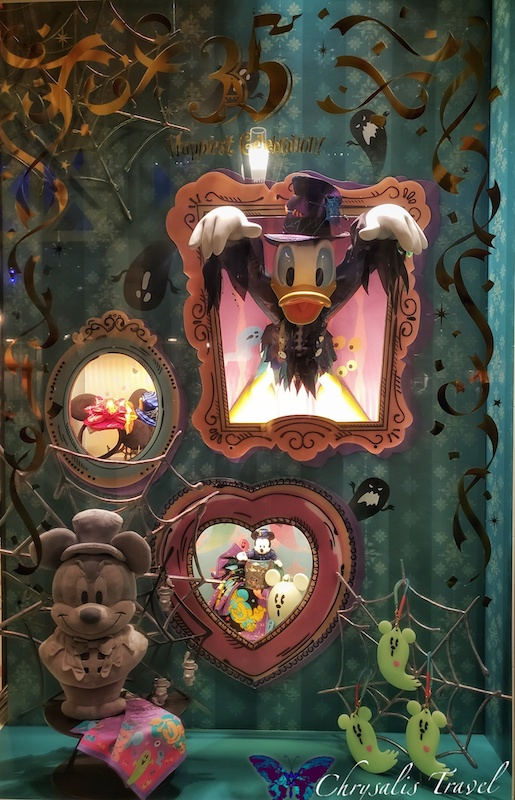 Always popular are the small key-chain size plush of every character imaginable. (We’ve heard them called ‘badges.’ We call them ‘dangles.’) Some guests collect many different characters. Some guests have one character in every season’s variation of costumes. The “Spooky Land” merch was tastefully designed. 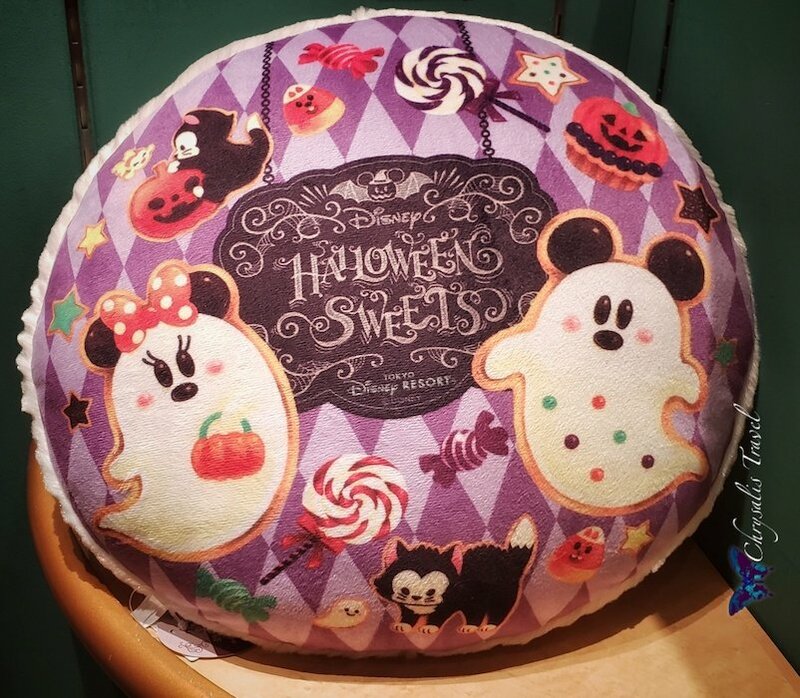 The Halloween Sweets line was quite popular as well. 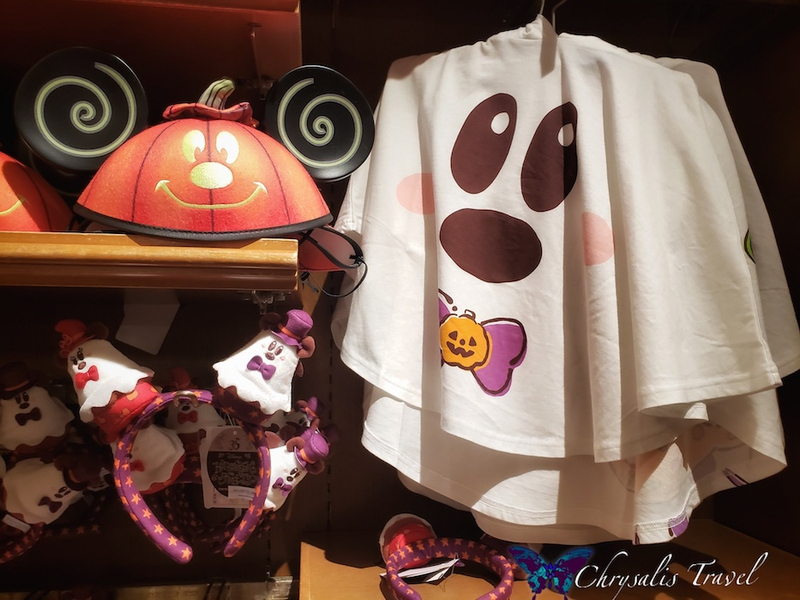 Here are some chopsticks, Mickey ears, and a cute Mickey ghost poncho. If you’re feeling lucky, try a game of chance. For about $5 USD, you can play a midway-style game to win a choice plush. The consolation prize is an exclusive TDR pin. 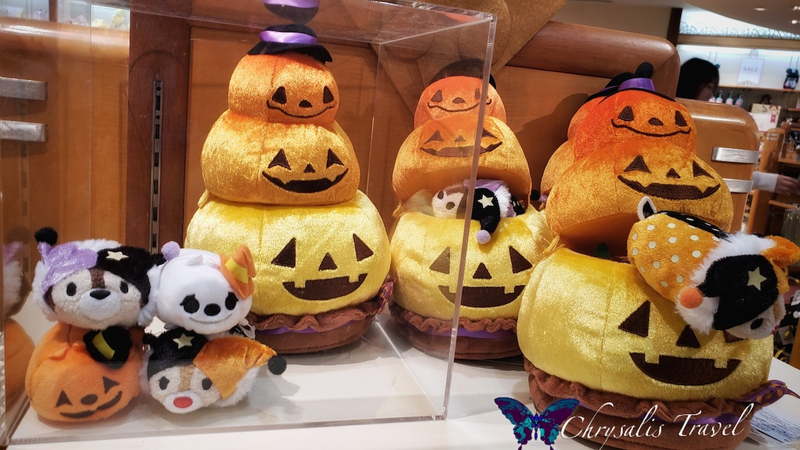 Even these plush friends have seasonal costumes. In Japan, the Disney Store has completely unique merchandise lines from the Parks. 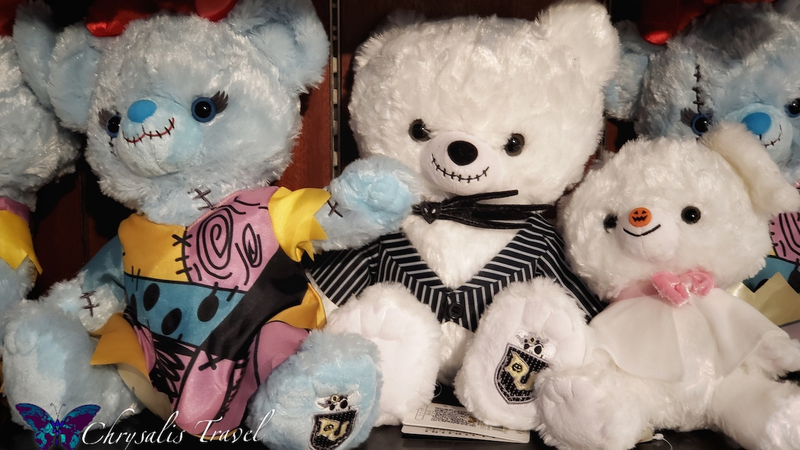 These are new UniBearsity Bears: Sally, Jack, and little Zero. 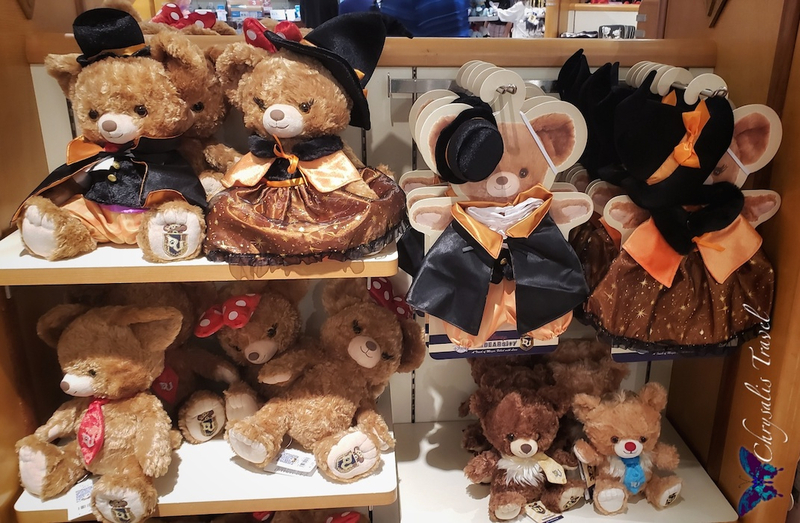 The Disney Store also sells Halloween costumes for UniBearsity Bears. Tsum Tsums are not found in Tokyo Disney Parks. 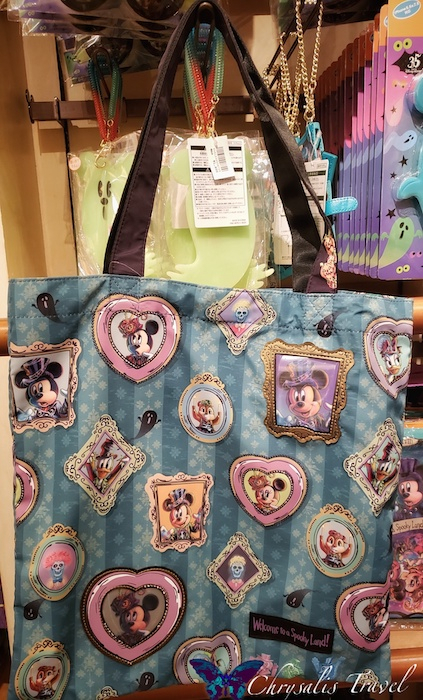 They are exclusive to the Disney Stores in Japan. Here is a limited Halloween set. 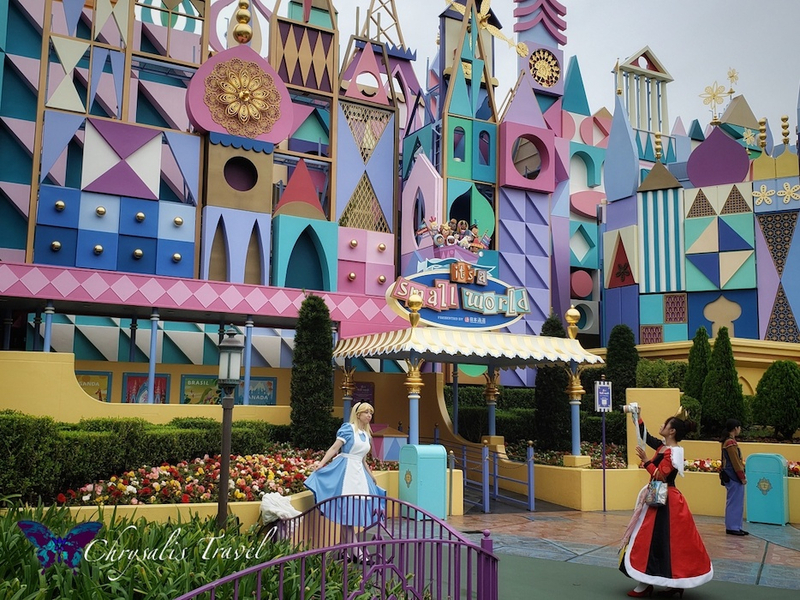 We see some distinctive cosplay during ‘costume days’ at Tokyo Disney Resort, with many characters that we don’t often encounter in cosplay here at home. 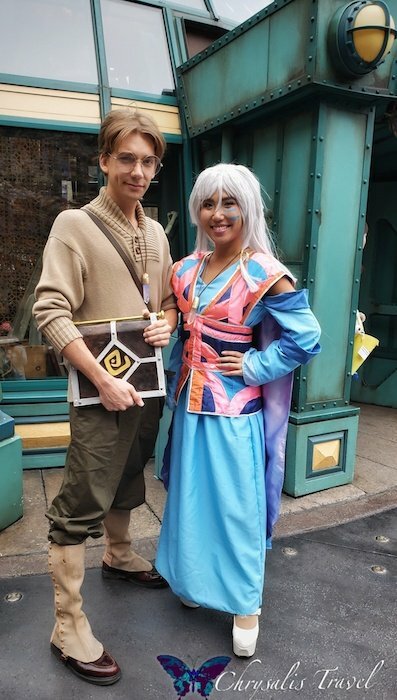 We found Milo and Kida from Atlantis: The Lost Empire near the Nautilus on Mysterious Island. Friends often coordinate and dress as the same character, or different versions of the same character. 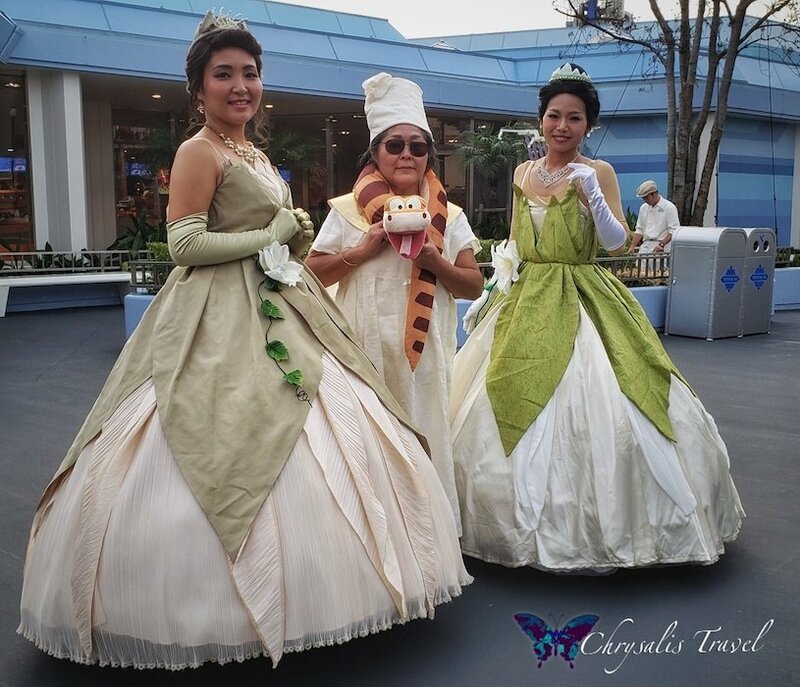 Here, we have two Princess Tiana’s, and the first time we’ve ever seen Mama Odie. 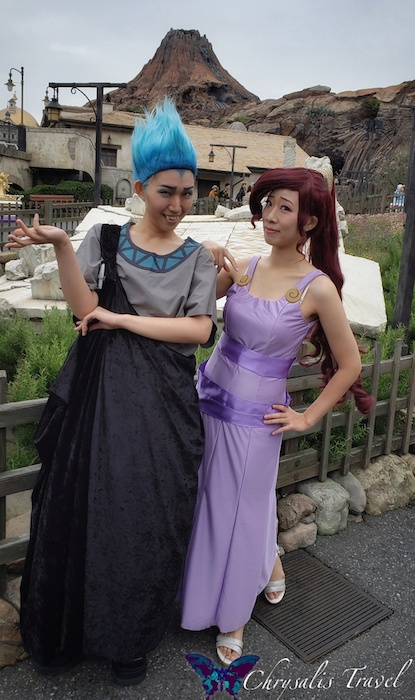 Guests seem very comfortable dressing as characters of another gender. We’ve seen female friends dress as Belle and the Beast. Here are Hades and Meg. We enjoyed watching this photo shoot of a Cruella-inspired cosplay in front of the ‘Couture Furrier’ by his dalmatian friend. 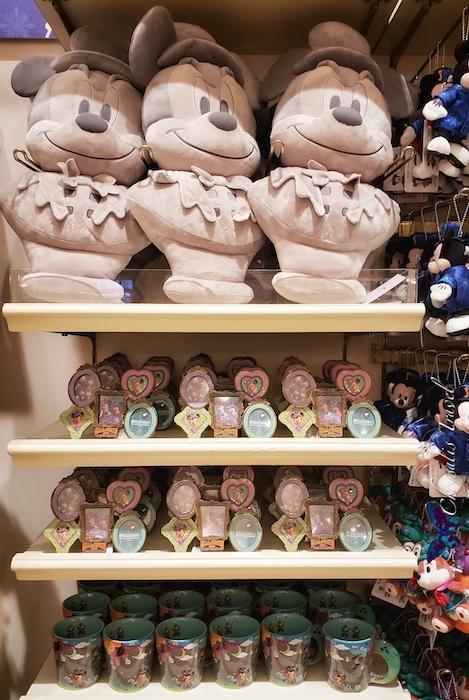 Duffy, ShellieMay, Gelatoni, and StellaLou are immensely popular in Japan, as they are throughout all the Asian Disney Parks. 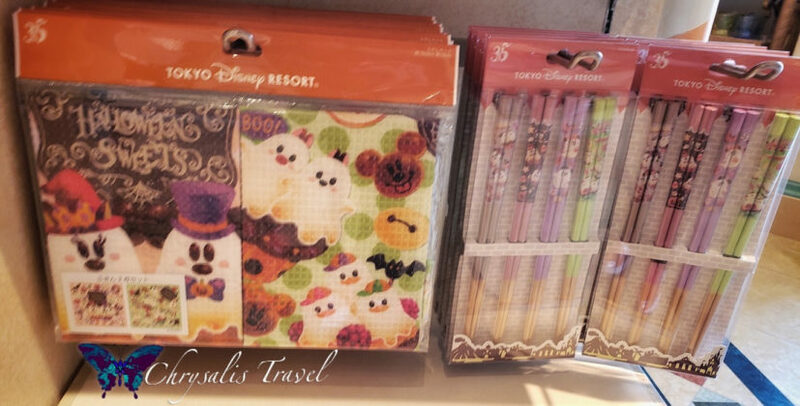 At TDR, they are found exclusively at Tokyo DisneySea. They also march to the beat of a different drum. The friends look pretty adorable in their pajamas and little cat, bear and bunny slippers. 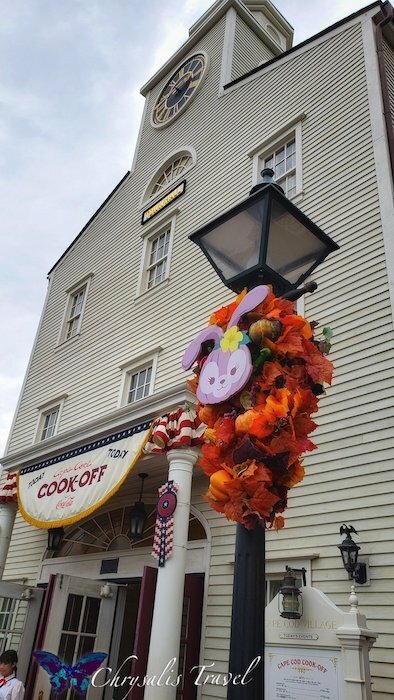 Cape Cod was also decorated for fall, with each of the friends in their “Autumn Sleepover” outfits. 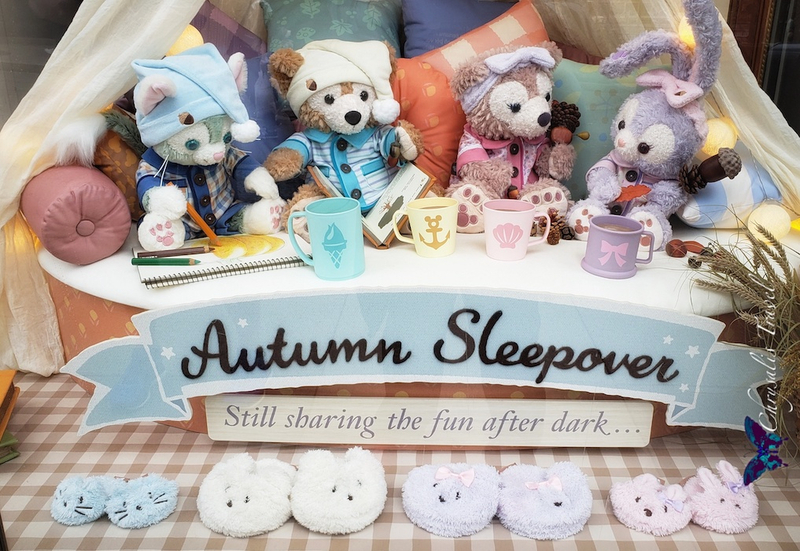 In addition to the seasonal merchandise, there were (of course) special desserts with an exclusive “Autumn Sleepover” cup and saucer. These were available only at Cape Cod Cook-Off. 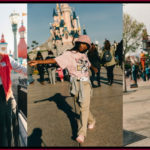 “Disney Fan” magazine is packed with photos, prices, and everything you could want to know about Tokyo Disney Parks, seasonal merchandise, shows, and special menus. Published monthly at around $8 USD, it is available in Japanese Disney Stores or the bookstore on the ground level of Ikspiari (Downtown Disney). Although it’s only in Japanese, we love looking through all the photos. 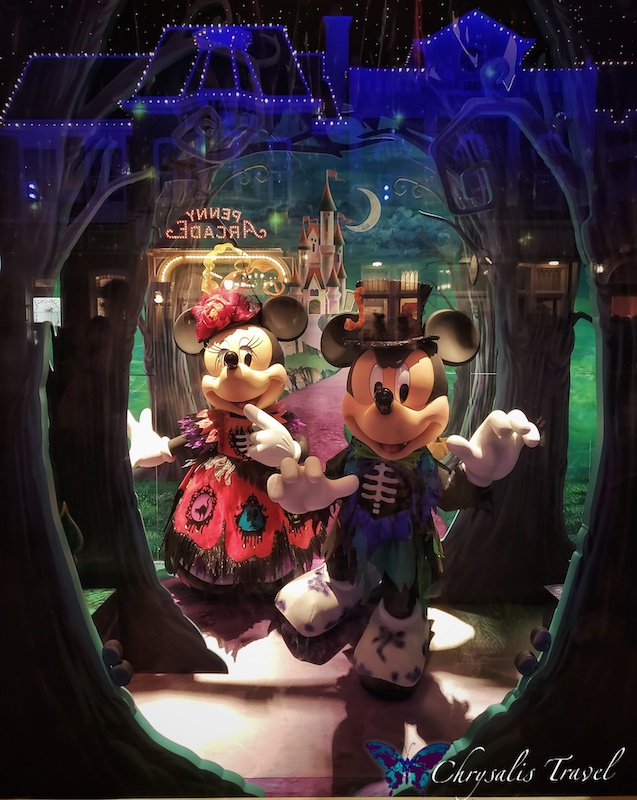 Want to read more about Halloween at the Tokyo Disney Resort? 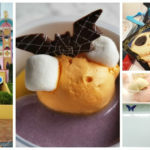 See our articles featuring special Halloween foods, and the celebrations at Tokyo Disneyland and Tokyo DisneySea.